ALL ATTENDEES for Sharing Day must pre-book. Cost of the day is £100 (which includes a pass for the evening concert). As you know, the Sharing Day is a masterclass teaching experience, running from 10am - 5pm, with personal tuition from Gordon, supported by Michael Gough (of MG Custom Guitars). On September 8th I'm doing another Sharing Day, this time at the charming Castle Park Arts Centre Frodsham.This will be a return visit for me and one I'm looking forward to very much. My chosen piece for the day Ania's Dream is taken from my Last of England album.The evening will see me perform an intimate concert in the upstairs gallery.The seating is limited so those who just want to attend the concert should book early.Those attending the workshop will have free admission to the evening concert. My special guest for the afternoon was due to be outstanding guitarist/teacher/ composer Martin Pleass, however he is sadly unable to attend. 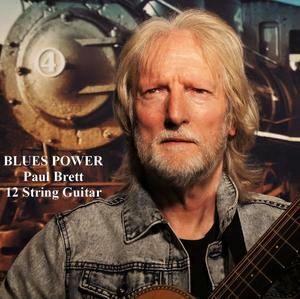 In his place I'm now delighted to be inviting one of the finest 12 string guitarists around, Mr Paul Brett. Should attendees require accommodation the Arts Centre recommends The Old Hall Hotel on Main Street, Frodsham. IMPORTANT: Bookings for Sharing Day can ONLY be made via Sue Holton email: ggiltrap+sharingday@gmail.com and not direct from the venue. Castle Park Arts Centre is set amongst beautiful floral gardens, parkland and woodland walks in the historic market town of Frodsham. The Victorian building with its unique clock tower was originally the stable block for the adjacent mansion house. In 1986 these outbuildings were converted into the arts centre providing exhibition and workshop spaces, a cafe and craft units. The traditional origins of the building are reflected in the magnificent wrought iron gates which were commissioned for the entrance to the Arts Centre. Visitors to Castle Park Arts Centre can experience a lively programme of exhibitions, arts activities and enjoy the wonderful Victorian buildings and grounds. The Arts Centre has 4 galleries, 2 craft rooms, 7 courtyard craft units, a coffee shop and garden space with disabled access. There is a regular programme of changing exhibitions and arts and crafts classes for adults and children. The Centre is also used by numerous clubs and societies. Castle Park Arts Centre is run as a charitable trust which is managed and manned by volunteers.